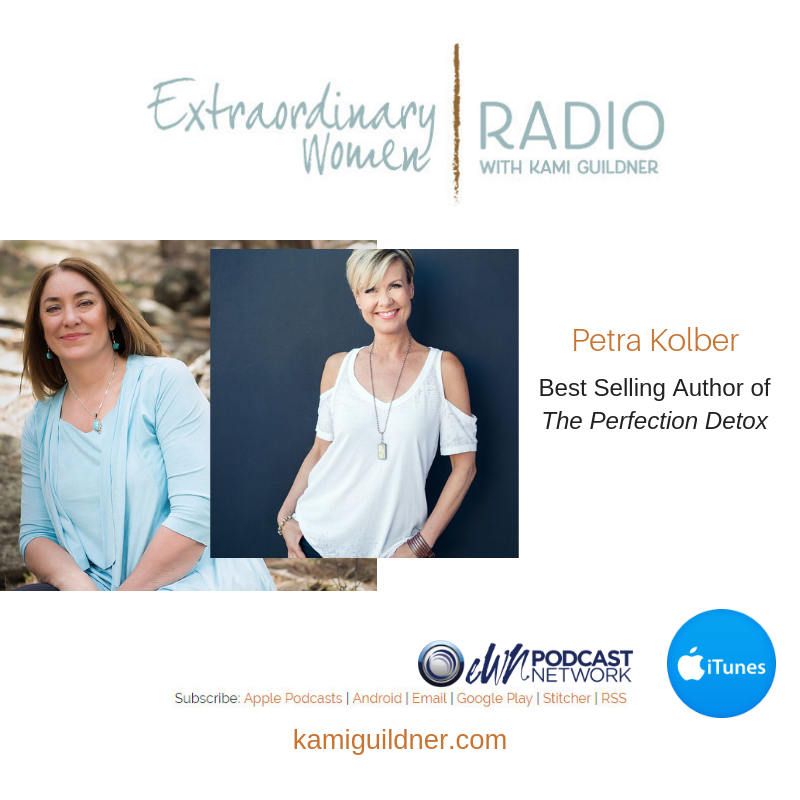 This week’s Extraordinary Women Radio interview is with Petra Kolber, the best selling author of The Perfection Detox. How often do you have that inner critic voice show up – you’re not enough… smart enough… thin enough… strategic enough… whatever enough…? Petra is on a mission to help us all remove the idea of our not enough-ness – because we are enough! One of the pillars of the work I do with my clients is to help them master their mindset. To recognize what’s stories are showing up … what fears are stopping us … how are we playing small. Petra’s work on detoxing from perfectionism is brilliant. When we’re stretching into a bigger presence in our brand and visibility, we want to show up at our best – and perhaps what we perceive as our perfect best. But as Petra so eloquently shares with us in this interview, is that people are attracted to our imperfections, not our perfection. Our imperfections make us real. It makes us relatable. And today she’s going to share how we detox from all that perfectionism that we think we need! Petra is an internationally renowned fitness expert and wellness leader who is known throughout the industry as a crusader for change and a beacon of authentic happiness. In her 25 years in the fitness world she has starred in and choreographed sixty award winning videos and fitness programs, and has spoken live to thousands of motivated followers. Let’s meet Petra Kolber – the author of The Perfection Detox.